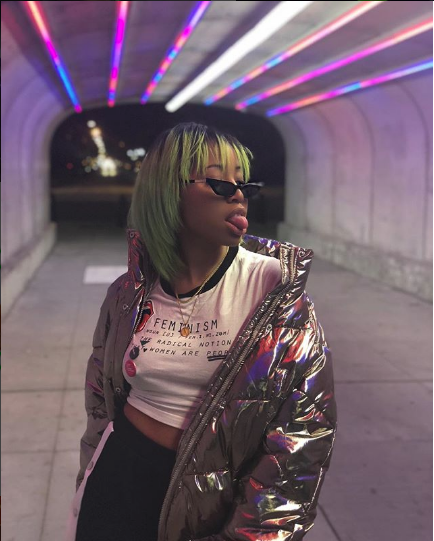 HITS Daily Double : The B-Side - BANKS URGES "BAD MANNERS"
Green-locked indie songstress Liana Banks dropped her latest in sultry R&B offerings with "Bad Manners" last week. The track, which is featured on Tidal's R&B Rising playlist, is certainly worth a listen. While this marks the N.Y.-native's first release since "Ghost," which came out almost a year ago today, she's kept busy working on projects with other artists while finishing her still-to-come apt. 210. Banks has worked with the likes of Lily Allen and notably co-wrote PnB Rock's "Selfish." She's also credited on tracks for Fabolous and Jadakiss. You can check out the rest of her material, including the self-released insubordinate here.